Michigan Veterans Face-Off Against Red Wings Alumni on Nov 19! 2nd Annual Michigan Warriors V. Detroit Red Wings Alumni Charity Hockey Event! This year's game is going to be even bigger than last with children's activities, chuck-a-puck, and our biggest 50/50 raffle to-date. For the first time in Warriors history, each guest will be entered into a drawing to take a half ice shot for the chance to win $25,000!!! So share this with your friends, family, and coworkers. Head to our Facebook Page with the Facebook button below and give us a Like and a Share! Let's sell-out USA Hockey Arena for the Disabled Veterans of the Michigan Warriors Hockey Program! Tickets are available for purchase at the USA Hockey Arena box office or the Michigan Warriors website! Listed below are the events I have for the next 14 days here in the Metro Detroit area, of which there are 9 new items. You can also go to the Legion 328 website to download any flyer for these future events at http://www.legionpost328.org/events.htmlIf your group has an event benefiting veterans, or you hear of an event, please share with me so I can share with the veteran community. I would rather get an event 3 times than not at all! Listed below are the events I have for the next 14 days here in the Metro Detroit area, of which there are 11 new items. 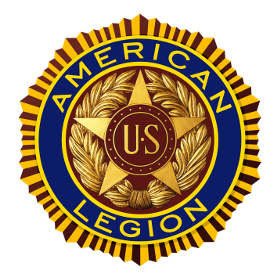 You can also go to the Legion 328 website to download any flyer for these future events at http://www.legionpost328.org/events.htmlIf your group has an event benefiting veterans, or you hear of an event, please share with me so I can share with the veteran community. I would rather get an event 3 times than not at all!